The Bible presents facts of eternity in the past and realities of eternity to come—the future. In previous posts we have considered the past as Alfa related aspects having valuable memories and remembrances for every faithful believer of God. These aspects were labeled as flashbacks in time. In this series of posts, we will address the future as Omega associated attributes for believers. These features can be described as future related events and flashforwards in time. • is operationally defined as "what a clock reads". • has been called a dimension, a smooth-flowing continuum, and an expression of separation among events that occur in the same physical location. • is an observed phenomenon, by means of which human beings’ sense and record changes in the environment and in the universe. • is the indefinite continued progression of existence and events that occur in apparently irreversible succession from the past through the present to the future. • is often referred to as a fourth dimension, along with the three spatial dimensions of depth, height, and width. In this short discourse about time and the future, it seems important to also mention that there are other meanings of time attached to the future. In the Greek language time denotes two distinct principles, Chronos and Kairos. The former refers to numeric, or chronological time. The latter principle literally means "the right or opportune moment", which specifically relates to metaphysical or divine time. In theology, Kairos signifies a proper or “opportune time for action” and is measured by the quality of time rather than the quantitative nature of Chronos. In general terms, when we think of the term ‘future’ it is taken to mean a time or a period of time still to come. Future, or events yet to happen, can span a time beyond the present which can be measured chronologically in seconds, minutes, months, years etc. We also may think of the future as times when certain things are concluded, completed or terminated. Beyond this last meaning of future is the occurrence of timelessness having no boundary or larger than any natural number, commonly known as eternity or infinity (∞). When we consider groups of people who are futuristic minded—those who predict information about another person's future life. A few well-known classifications come to mind. Categories of groups who hold futuristic beliefs include witchcrafters, fortune tellers, soothsayers, visionaries, astrologists and cultic or occultic worshipers. There is a great amount of variation of specific beliefs within each of these categories, so it is difficult to find one collective and common thread of futurism in them. In general terms, they claim to foretell or prophesy an event in the future. They can be considered seers who, by various arts of computing, foretell the fortunes and destinies of individuals. They also may use a variety of means, such as charms or spells, which appears to give them supernatural power over natural forces. At this point we need to emphasize that such futuristic views as having absolutely no place in the standard dogmas derived from the Holy Bible. In a Judeo-Christian context, the definition of those who practice these types of beliefs reject one or more of the fundamentals of biblical truth, such as the power, the unlimited holiness and supremacy of God. 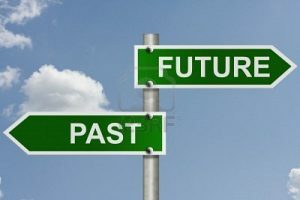 In the next post, we will continue to grasp other meanings and significance of the future. On Tuesday, November 6th, 2018. Posted by clayhenry, In Heaven and Earth, with No Comments.